The board of the Central Bank is to consider a recommendation from management to cease printing euro notes at its mint in Sandyford, Co Dublin. The proposed change would have no impact on the supply of banknotes in Ireland, the majority of which are produced elsewhere. 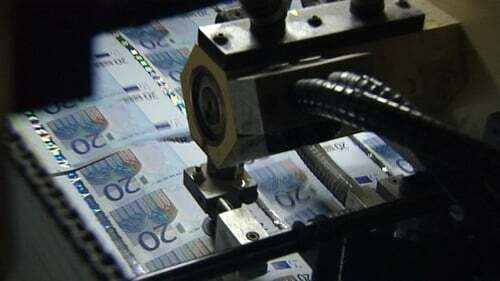 A spokesperson for the Central Bank said: "The proposal from management involves sourcing the banknotes from within the Eurozone, and ceasing the printing of banknotes at the Central Bank’s Currency Centre. "This proposal is in line with the approach taken in many other national central banks in the Eurozone." Staff at the facility, which prints notes and coins, were informed of the recommendation yesterday, and told that any change would result in the redeployment of 45 of the 170 workers there. "The Central Bank does not intend to seek compulsory redundancies and is committed to redeployment and retraining opportunities for impacted staff. "A voluntary severance package will also be made available to those staff," the spokesperson said. The matter is scheduled to be discussed at a meeting of the commission at the end of March. If a decision is taken to cease printing, then all other currency related operations at Sandyford Currency Centre would continue as normal, the spokesperson said.